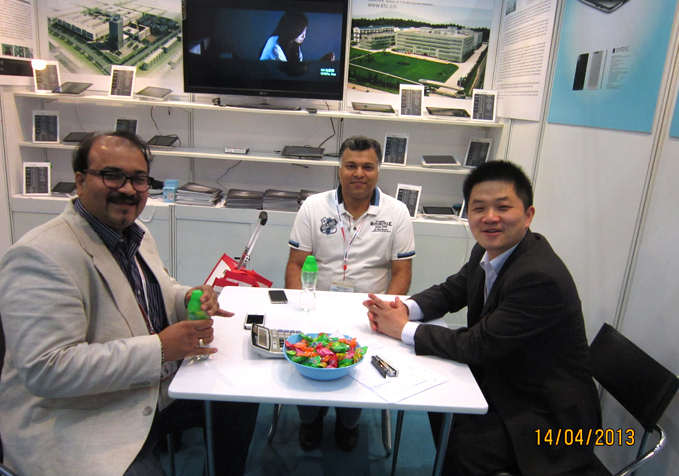 KTC’s foreign sales department attended 2013 HongKong globalsources tradeshow on April 15. In this tradeshow, we showed our flat panel series products and received favourable comments from customers. Our booth was located at the display area of flat-panel and accessories. In this tradeshow, we showed 13 types of tablet PCs, including 700P11C, 700P21C, 101P11C, 101P21C(in mass production) and 101P31C, surf-black(prototypes). Besides, there were 7 latest developed products first showing up in public. Fashionable appearance and excellent performance of these products attracted many customers to ask for information and many of them were our potential buyers. It was our first time to attend HongKong globalsources tradeshow. Through this opportunity, we enlarged customer base and expanded popularity. In the face of drastic market competition, we will continue to base on quality and keep on innovating, so as to offer customer better products and visual experience.